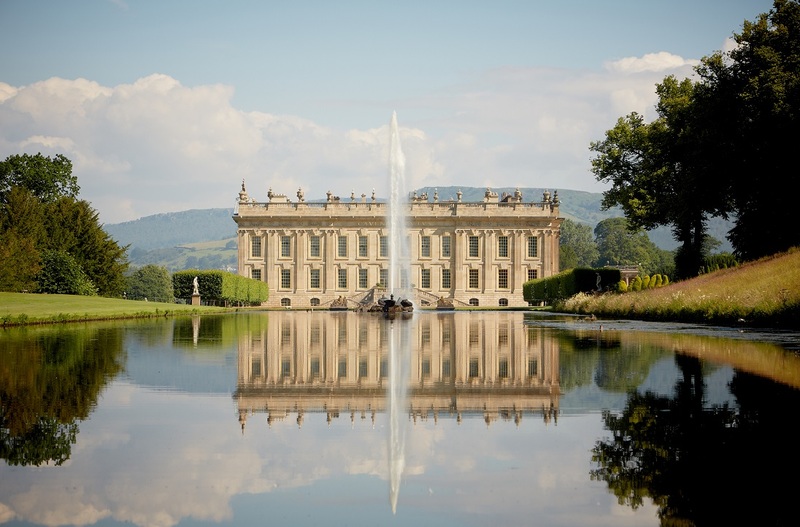 Although we aren’t able to fit a trip to this beautiful building during the conference, we couldn’t pass up the opportunity to tell you a bit more about Chatsworth House, the stately home of the Duke and Duchess of Devonshire and which has been in the Cavendish family since 1549. Set in the Derbyshire Dales, on the banks of the River Derwent, Chatsworth House lies in the middle of the Derwent and Wye valleys, with its rolling wooded hills and expansive parkland, it is no wonder Chatsworth has won Britain’s best stately home on several occasions. Inside you will find a unique collection of priceless paintings by old masters, scultures and rare books dating back over 4000 years. Many of the priceless artifacts include sculptures from ancient kingdoms of Rome and Egypt to more modern pieces such as Lucian Freud and David Nash. Escorted tours offer visitors a feel for past ways of life and a chance to see parts of the house not usually open to the public. The most recent installation is the North Sketch Gallery, a contemporary art exhibition that displays a 3D printed version of the DNA of the Duke and Duchess of Devonshire as well as some of their heirs and the ceramic blocks now form part of the fabric of building. It won 2014CODA Awards and is an unique and creative take on the traditional portrait. After you have toured the stately rooms and admired the renowned artwork inside, you should head out into the garden. The garden has changed beyond recognition since the 1st Duke of Devonshire’s time but small parts remain such as the Queen Mary’s Bower. The most work was done by the 4th Duke of Devonshire who was one of the first in the country to adopt the design of “formal” gardens that had become widespread across Europe. He was responsible for the rebuilding of Chatsworth in the more classical style that can be seen today and for the construction of the gardens to complete the look. It wasn’t until the 6th Duke appointed Joseph Paxton as the Head Gardner in the late 18th Century that restoration of the garden continued and many of the features such as the Emperor Fountain, Winery and Rock Garden and Strid were completed. The onset of WW1 and WW2 led to a dramatic change in the look and feel of the gardens and ultimately led to the destruction of the Great Conservatory that had been built in the 19th Century. Since then, the 11th and 12th Dukes had worked hard to revive the gardens back to their former glory and restore many of its original features as well as the installation of new ones such as the Maze, which sits on the site of the Great Conservatory and the Sepetine Hedge and Summer House. More information on Chatsworth including admission and how to get there can be found on the Chatsworth House website here. Katy and the admin team.